A lawyer for Kaepernick, Mark Geragos, tweeted that after discussions, the “parties have decided to resolve their pending grievances.” The NFL issued an identical statement. Details of the agreement are not public and Kaepernick is likely bound to never discuss it but NFL Columnist and Author Mike Freeman reports that the settlement is between 60-80 million dollars. Lebron James has never knelled for the National Anthem and considering it is against his work (NBA) rules, he likely never will. 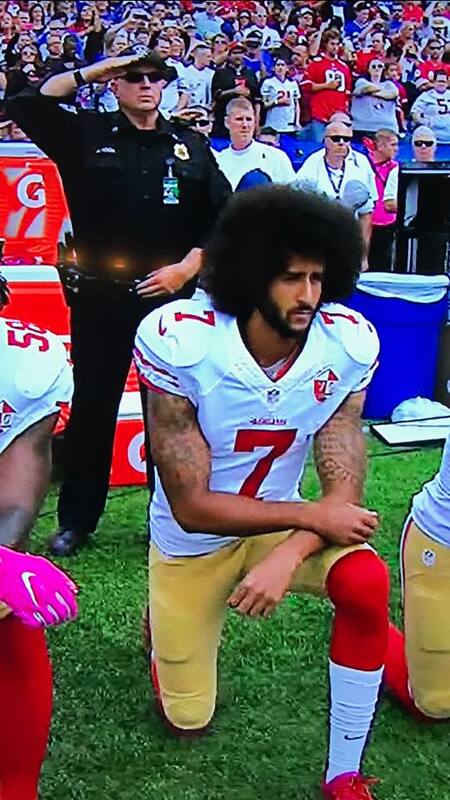 Kaepernick has long said that NFL teams refused to hire him based on his activism but what he won’t tell you is that he opted out of his contract with the San Francisco 49ers. That essentially means he quit. The Baltimore Ravens reportedly were ready to hire him but he refused to comply with their request to stop kneeling for the National Anthem. It also likely didn’t help when Kaepernick’s girlfriend tweeted a “racist” picture of Ray Lewis and Ravens owner Steve Bisciotti. The tweet by Nessa Diab compared a picture of Lewis hugging Bisciotti to a scene from “Django Unchained,” in which Samuel L. Jackson as a loyal house slave held Leonardo DiCaprio’s cruel plantation owner character.